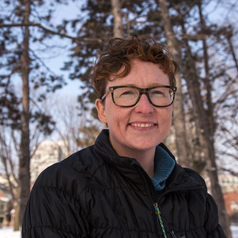 Jackie Dawson is the Canada Research Chair in Environment, Society and Policy and is an Associate Professor in the Department of Geography, Environment, and Geomatics at the University of Ottawa. She specializes in the human and policy dimensions of environmental change with particular interests in the Arctic. She is a member of the College of the Royal Society of Canada, the Global Young Academy, and the Royal Canadian Geographic Society.